While a rush to safety has boosted quality’s valuations to the 99th percentile of the past 30 years, high dividend payers remain stuck in the 10th percentile of historical valuations. 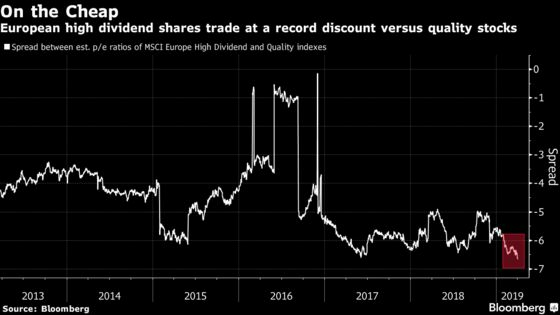 That gap has led Morgan Stanley to wager that cheaper stocks with generous payouts are better placed to benefit from low bond yields than shares with stronger balance sheets and corporate management. 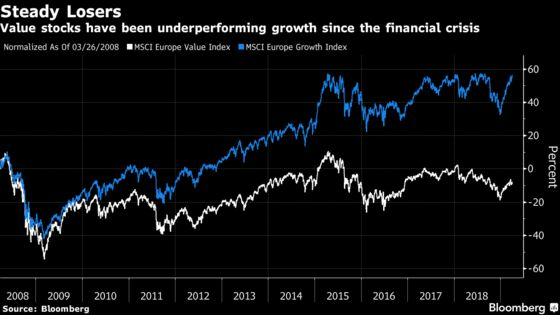 But for European equities, which struggle to attract investors after being hit with the largest fund outflows this year, generous payouts are sometimes the only way of standing out among other regions. U.K. and European dividend yields are the highest in the developed universe after Australia -- an opportunity that’s hard to miss, according to Morgan Stanley.